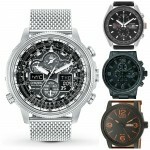 Hey everyone, today we’re going to be taking a look at some of the most popular affordable chronograph watches for men. 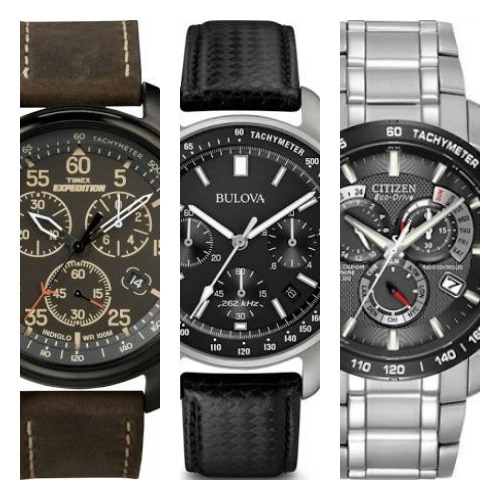 Below are 10 of the top chronograph watches from well recognised popular watch brands. 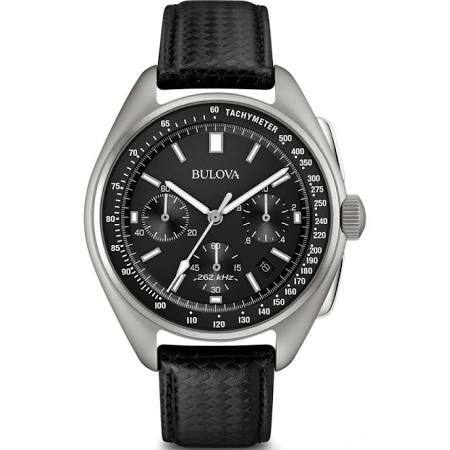 My favourite men’s chronograph watch in today’s list is the Bulova Moon watch in at number 9 so makes sure you don’t miss out on that one. 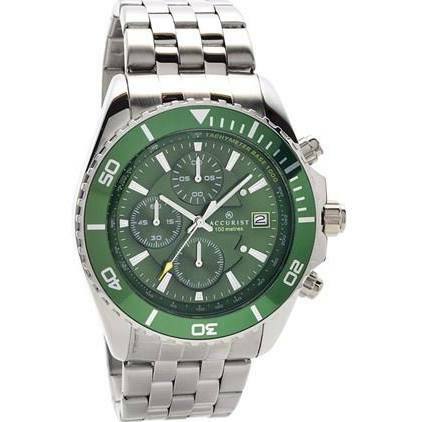 This first Eco-Drive chronograph watch from Citizen has to come in at a close second though. As always if you have any questions just comment below and I’ll try help as best I can. Enjoy today’s list. 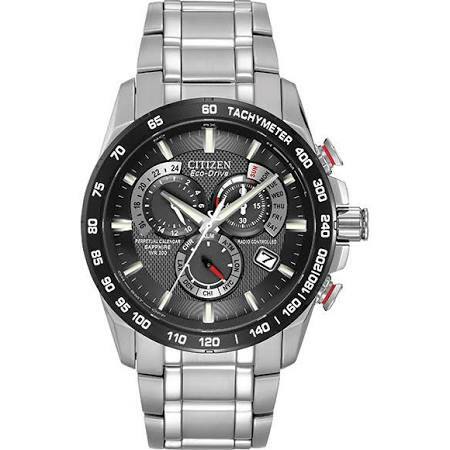 First up in our list of the top 10 chronograph watches for men is this popular Eco-Drive model from Citizen. The Eco-Drive technology for this watch is awesome, it means the watch is powered by light, be it natural or artificial and never requires a battery. It’s an impressive mens chronograph watch with a high vis display that include lume on the hands and hour markers for better visibility at night. Next up in our top ten chronograph watches for men is this popular Timex Expedition. The Timex Expedition is an affordable chronograph watch that’s suitable for people who are on a budget. When it comes to cheap chronograph watches, this model certainly offers value for money. This is a classic outdoor chronograph wath with a genuine leather strap and a 100m water resistance rating. The timex Expedition is powered by a quartz chronograph movement and features the Timex Indiglo technology that lights up the dial for excellent visibility in dim lit conditions. Here we have a popular cheap chronograph watch for men by Accurist. I love this green bezel that really makes the watch stand out. It’s an attractive looking sport watch that’s built with a large 46mm casing diameter and a thickness of 10mm. It’s powered by a Japanese quartz movement and has an impressive 100m water resistance rating. If you’re looking for affordable chronograph watches, then Accurist are a brand I recommend checking out. Up next in our top ten chronograph watches is this popular high performance timepiece from the Casio Edifice collection. 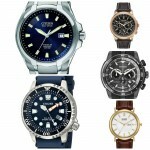 This range of watches offers fantastic value for money in my opinion. You can view more of the best Casio Edifice watches here. This popular chronograph watch features a large 45mm casing diameter with an 11mm thickness. The dial is protected by a mineral crystal glass for scratch and shatter resistance. It’s powered by a quartz chronograph movement and has an impressive 100m water resistance rating. All in all not a bad timepiece for an affordable chronograph watch. 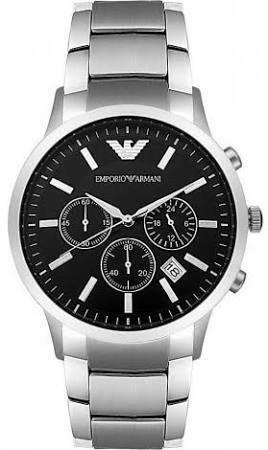 This popular sleek looking Emporio Armani definitly deserves to be in our top ten chronograph watches list. It’s a smart looking men’s chronograph watch that’s suitable for both casual or smart occasions. The watch is built with a stainless steel casing that measures 43mm in diameter with a thickness of 11mm. The dial features a chronograph and date function with classy looking slim silver baton hour markers. This Emporio Armani chronograph watch is powered by a Japanese quartz movement and has a 50m water resistance rating. 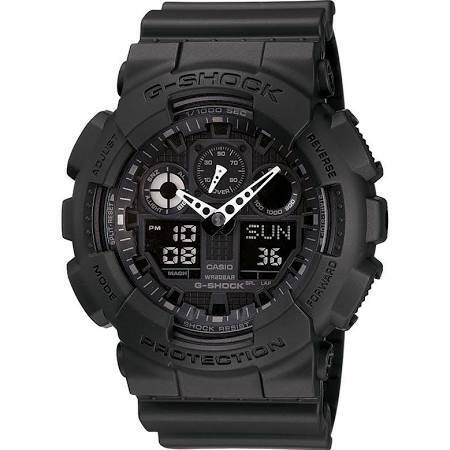 This affordable Casio G-Shock is next to make it into our list of the top ten chronograph watches for men. This is a large multi functional watch with a protective shock resistant resin build. The casing diameter of this watch measures 55mm with a thickness of 17mm making it quite a chunky chronograph watch. 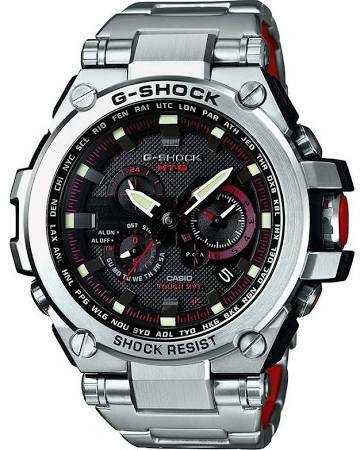 Features of this G-shock watch include chronograph timekeeping, 5 daily alarms, countdown timer, world time display, perpetual calendar, LED backlight, and a digital tacymeter. Another key features worth highlighting is the impressive 200m water resistance rating that’s bound to be useful for many people. I felt it was right to include at least one high end luxury chronograph watch in today’s list. This is most certainly a premium G-Shock Casio watch. The new Metal Twisted G-Shock (MTG) is the highlight of the G-Shock range, featuring the very best materials and cutting edge design. The heart of the watch is the movement, a Tough Solar movement, radio controlled, with chronograph, alarm, world time and date with perpetual calendar. All of the functions are available through the Smart Access crown, for ease of use. This is the most expensive watch in our top ten chronograph watches, but it’s certainly earned its place in the list. It’s highly accurate thanks to the radio controlled atomic timekeeping and the Tough Solar technology has always proved to be popular. 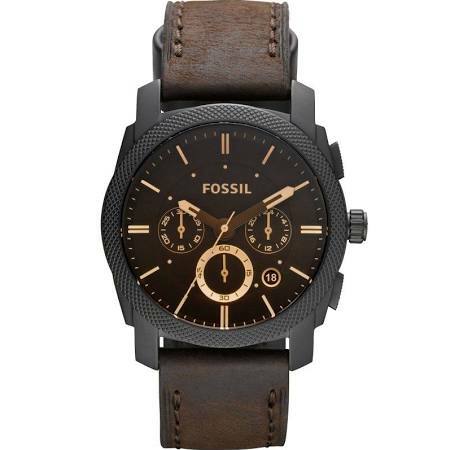 This Fossil Machine is an affordable chronograph watch for men. It’s designed with a black ion-plated steel casing that has a large diameter of 45mm with a thickness of 13mm. The large brown dial has 3 chronograph sub dials as well as a small date display. The hands and hour markers have gold detailings that works well with the brown coloured dial. 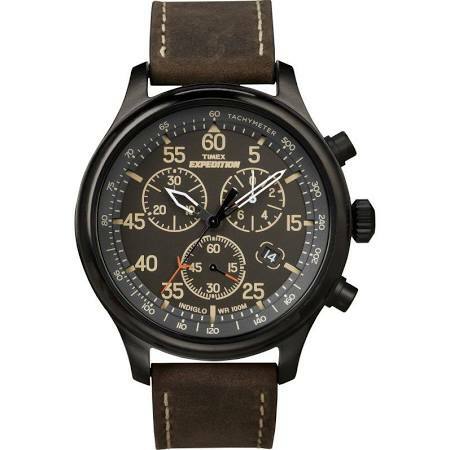 This men’s affordable chronograph watch is powered by a Japanese quartz movement and has a 50m water resistance rating. This is my favourite timepiece from today’s list of the top ten chronograph watches for men. This is a updated build of the iconic Bulova moon watch that made space history on August the 2nd 1971 during the Apollo 15 mission. You can read all about this watch on my Bulova 96B251 Moon watch review. This men’s chronograph watch is extremely accurate running on a high performance quartz movement that beats at a frequency of 262 kHz giving the watch this really smooth second hand movement. The hands and hour markers include super luminous coating and the glass is made of a highly scratch resistant anti reflective sapphire crystal. 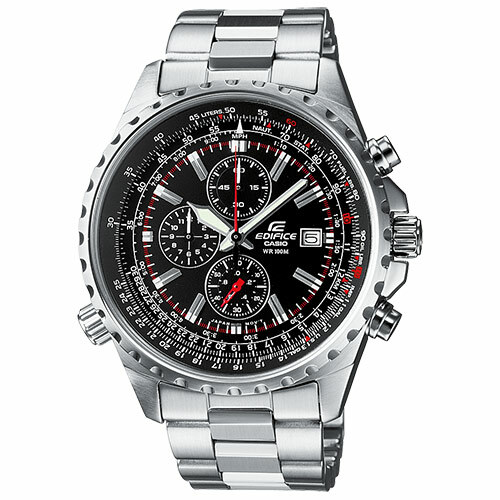 Last up in our list of the top ten chronograph watches for men is this popular Seiko timepiece. 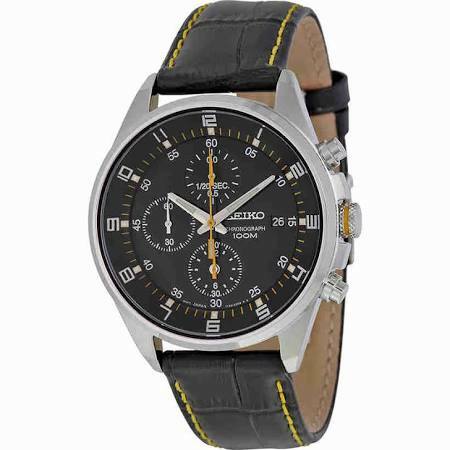 Seiko are a massivly popular producer of affordable watches, that includes this chronograph men’s watch. This model features a 41mm casing diameter with a 10mm thickness. It’s powered by a quartz chronograph movement and has a decent 100m water resistance rating. 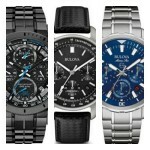 Thanks for taking the time to read through today’s list of the top ten chronograph watches for men. This list mainly focused on affordable chronograph watches as opposed to the luxury brands. As always I’d love to hear what your favourite popular affordable chronograph watch was from today’s list. Comment below and let me know.